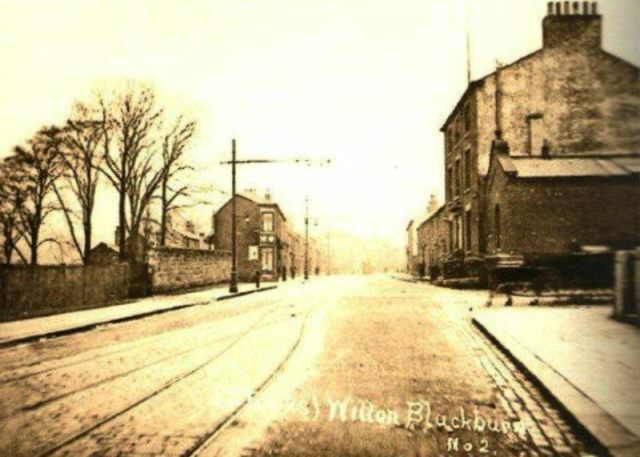 Witton Stocks in the first decade of the 20th century. The second photo, is one I took in August / September of 2009. It has changed a little over the century between the two shots, but is still more recognisable than lots of other areas of Blackburn now are. 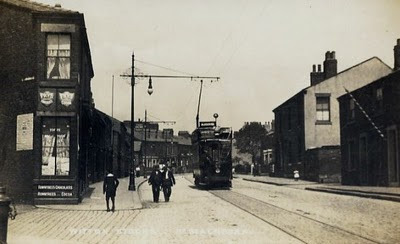 Below is an earlier photo, taken from the other side of this (now) busy crossroads. 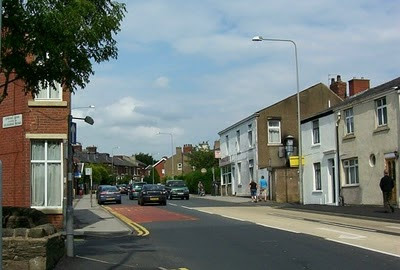 It shows some of the same properties, the shop on the left for instance, before the road that became Buncer Lane was constructed. LOWER PHOTO COURTESY OF BLACKBURN LIBRARY REFERENCE DEPT.